Citroen plans to launch the C-Zero electric car in Europe before the end of the year. The first mass-market electric cars will start debuting in Europe later this year. 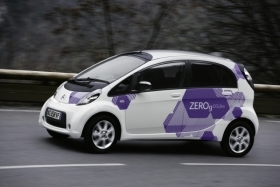 For example, PSA/Peugeot-Citroen launches the Citroen C-Zero and Peugeot iOn four-door electric car. This factbox contains details about some of the electric cars coming to Europe later this year.